6 What to do if rat poison was taken by a pet or a human? It is really frightening when you hear from someone: “I have rats in my walls and crawlspaces. I hear them at night scratching and chewing by our air conditioner ducts.” Nobody wants their home to be infested by the Norway or roof rats. The first option that enters mind is to purchase an effective rat baiting system to exterminate the unwanted rodents. 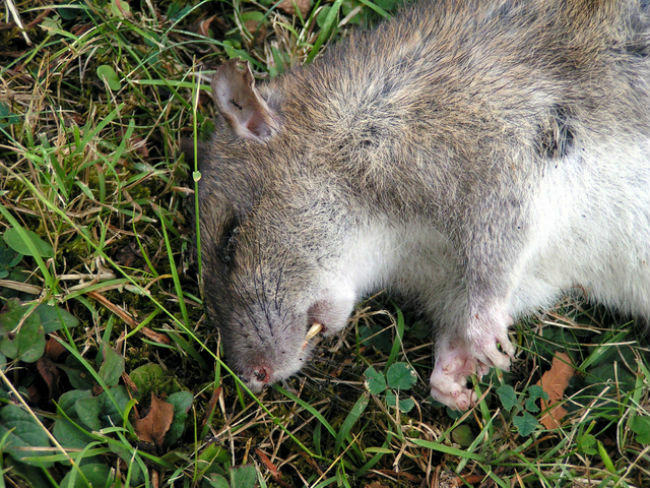 You will learn about benefits and drawbacks of rat poisoning. Beside, trapping the urban rats is not an effective option as they are highly intelligent and tend to avoid anything new in their habitat. There is a great choice of currently available chemical rat baiting systems at home depots, on Amazon and ebay. These are products containing poisons that are able to kill rats, mice, voles and moles. The toxins from rat poisoning stations start acting in the rodent’s stomach damaging all vital systems within 2-6 days after ingestion. They spoil blood vessels, disturb respiratory and digestive systems. In fact, mice and rats may consume the lethal dose in one or two feedings depending on the size of the rodent. Before using the toxic baits read the product label carefully. They are easy to use with the precaution measures. For best performance, remove other food sources from the area. Put on chemically-resistant gloves. In fact, the convenient packaging of rat baiting products (pellets, grains, bars, chunx and cakes) ensures the easy application in sufficient quantities according to your specific needs. You may place the bait either in an unopened package or in portions. In fact, the specialized design of the packaging material allows the rat to scent the food and gnaw through the pack to access it. Apply the bait in intervals of 15 to 30 feet in rat infested areas. Maintain bait supply for 10 days. The best places for rat baiting are in the basement, attic, air ducts, garages, in and around agricultural buildings, warehouses, inside transport vehicles. If black or brown rats reside in your yard, you can apply all weather anticoagulants. 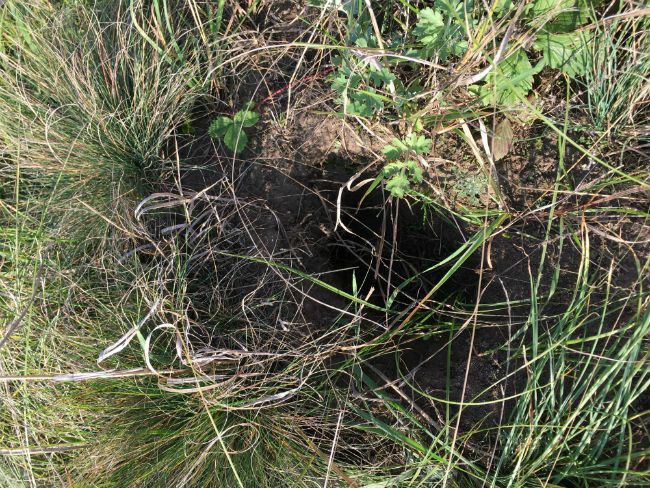 Some homeowners drop a water resistant rodenticide down rat burrows or dens on string. Then, they cover the hole over with a paving stone for non-target pets not to get to the poison. Afterward, they check the holes and if find the rat poison gone, they place the rodenticide again. The advantage of rat poisoning is that the urban rats go out of walls, crawlspaces, false ceilings, and shelters to crawl outdoors. Moreover, the chemicals mummify the corpses fast due to dehydratation. Thus, there will be no awful dead rat smell even indoors. The effectiveness of any rodent bait can be explained due to their special mechanism that deceives the smart roof and Norway rats that tend to watch for the reaction of their weaker counterparts under test. While the poison acts gradually, the rats do not associate the distress and death with the tried food. Thus, chemical rat baiting kills more rodents than trapping. The problem with any common rat baiting system is that it can also kill the rat predators such as cats, dogs, hawks, owls. When you use poison against rodents, you risk poisoning other animals and humans as well. Thus, always keep the baits out of the reach of children and non-target animals. Moreover, the urban rats become anticoagulant resistant fast. The Norway rats are wafarin resistant nowadays. Hence, it is obligatory to develop new types of rat poisoning regularly. What to do if rat poison was taken by a pet or a human? Fortunately, most of the rat baiting stations contain a human taste deterrent for safety. It is a substance with bitter taste well-known as Bitrex®. Actually, the multiple-dose baits that contain coumatetralyl or warfarin are less toxic to non-target birds and pets, in both primary and secondary rat poisoning situations, than other single-dose rodenticides that have active ingredients of pindone, brodifacoum, diphacinone, or bromadiolone. Fortunatelly, there is an antidote to the rat poison, if your dog, cat or child have ingested the bait or the contaminated rodent. The vitamin K1 is readily available in the case of accidental exposure to toxins by humans and pets. Beside, the US environmental specialists recommend to apply the rat poisoning pellets, cakes, or chunx in tamper resistant bait stations. This will prevent non-target animals from eating. The bait stations are specially designed for use in and around houses and agricultural buildings. my backyard and cellar. I often hear strange scratching in the walls from fall till spring. It’s awesome. I tried almost everything: traps, cages, sweet potatoes, peas and corn. Still the baits with poison turned to be highly effective.